Algorithm Design Techniques: Recursion, Backtracking, Greedy, Divide and Conquer, and Dynamic Programming. Algorithm Design Techniques is a detailed, friendly guide that teaches you how to apply common algorithms to the practical problems you face every day as a programmer. • Enumeration of possible solutions for the problems. • Performance trade-offs (time and space complexities) between the algorithms. 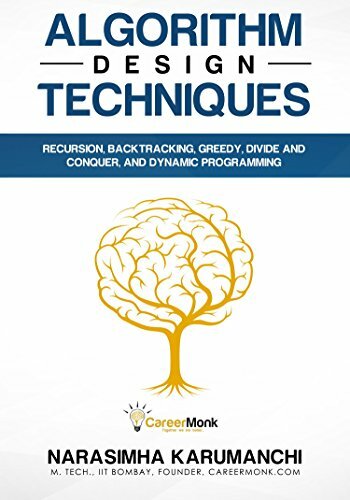 • Covers interview questions on data structures and algorithms. • All the concepts are discussed in a lucid, easy to understand manner. • Interview questions collected from the actual interviews of various software companies will help the students to be successful in their campus interviews. • Python-based code samples were given the book. Buy the book Algorithm Design Techniques: Recursion, Backtracking, Greedy, Divide and Conquer and Dynamic Programming from Ideakart.com.